The task of sitting through each of the movies nominated for the best picture Oscar can sometimes feel like just that — a task, a chore, a tedious homework assignment. That wasn’t the way I felt this year. For once, I enjoyed and admired all eight selections vying for Oscar’s top prize. They truly are the best Hollywood had to offer in 2014. Of course, the universal excellence of this year’s best picture bunch makes deciding which film deserves the coveted gold statuette all the more difficult. It’s made the race more unpredictable as well. Despite the added challenge, I’m willing to take a stab at which picture will emerge victorious on Sunday night (the Academy Awards air at 5:30 p.m. on ABC). And while we’re at it, let’s discuss the best director race. For predictions in the acting categories, click here. The story of British mathematician Alan Turing’s heroic code-breaking exploits during World War II, and subsequent persecution for his sexuality, showcases a powerful performance by Benedict Cumberbatch. However, some aspects of the drama feel sensationalized, more so when you realize how many elements of this biopic are actually fictional. When it comes to dramas about eccentric British geniuses, “The Theory of Everything” tells the life story of physicist Stephen Hawking in a way that rings truer — it plays out, unexpectedly, as a messy love quadrangle — and with far more style. The fact that “Theory” is not a by-the-numbers romance, told from the point of view of Hawking’s long-suffering first wife, is its biggest strength. It also contains a couple of powerhouse performances by Eddie Redmayne and Felicity Jones, whose chemistry evolves from tender to heartbreaking. 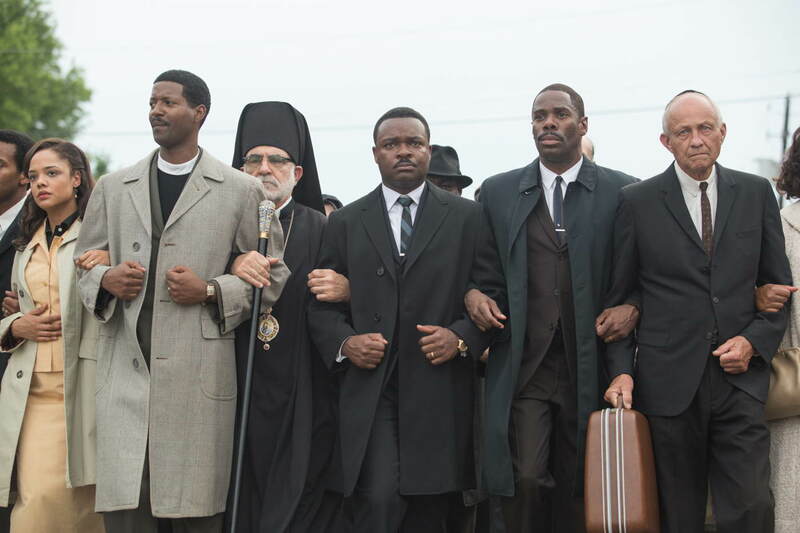 “Selma,” another biopic vying for best picture, has been roundly snubbed this awards season. The Academy failed to nominate director Ava DuVernay — she would have been the first African-American woman to receive the honor — and lead actor David Oyelowo, who is a marvel as Martin Luther King Jr., radiating the civil rights legend’s charisma and expertly mimicking his rousing oratory style. It’s a shame because “Selma” is a compelling and necessary reminder of the power of protest in a divisive and confusing year for American race relations. I love the way DuVernay juxtaposes seemingly mediocre moments with great ones to elegantly humanize King. The young upstart in the best picture category is “Whiplash,” debut director Damien Chazelle’s electrifying cat-and-mouse game between a sadistic music instructor (a terrifying J.K. Simmons) and the ambitious drummer (Miles Teller) he pushes to the edge. The audience is pushed to the edge, too, with an intensity few films achieve. There’s a precision, an originality and a dark side to this movie that is a whole lot of twisted fun. Like Teller’s drummer, however, Chazelle’s gotta pay his dues before he can win Oscar fame. The most widely seen of the nominees is “American Sniper,” director Clint Eastwood’s account of the life of sharp-shooting Navy Seal Chris Kyle. Despite its popularity, “Sniper” is far too controversial to win the Oscar. Conservatives embrace Kyle as a hero. Liberals denounce the film for failing to condemn America’s messy Middle Eastern wars. This disparity is evidence that both groups have oversimplified what is actually a work of surprising complexity, a film that confronts the domestic consequences of war, something we tend to ignore. As much as I admire the aforementioned films, there were three movies in 2014 that captured my heart and took my breath away with their technical innovation and artistry. Director Wes Anderson’s “The Grand Budapest Hotel” is undoubtedly his masterpiece. The filmmaker has reached the pinnacle of his talent for delightfully rococo pop-up book production design. The movie’s pulse is found in a hilarious, oddly touching performance by Ray Fiennes as a poetic, scheming gentleman concierge, presiding over a faded hotel in a fictional, war-ravaged Eastern European country. With all the visual flair of “The Royal Tenenbaums” and the bittersweetness of “A Life Aquatic With Steve Zissou,” the movie is a genuine charmer. Sadly, “Grand Budapest” doesn’t have much of a shot against the two front-runners in the best picture race, even after winning the Golden Globe for comedy. Richard Linklater’s “Boyhood” took the Golden Globe for drama, as well as the top prize from the British Academy of Film and Television and dozens of critics’ groups. The film is neck-and-neck with “Birdman,” which captured the best picture prize from the producers and screen actors guilds. I find myself torn between these two remarkable films and I think Academy voters will be too. Both films are exceptionally innovative. 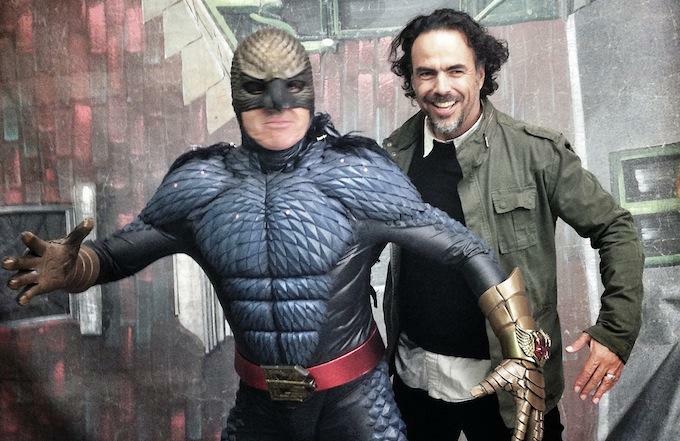 Director Gabriel Gonzalez Inarritu created the illusion that “Birdman” was shot in one single, exhilarating take, inspiring raw and captivating performances from a stellar ensemble cast. Michael Keaton’s turn as an insecure, aging actor trying desperately to build a last-minute legacy for himself is astoundingly funny and full of ugly, bleeding emotion. Linklater filmed “Boyhood” a little at a time, over a period of 12 years, which lends the story of a boy’s ordinary but amazing childhood a rare and lovely verisimilitude. Armed with naturalistic acting by young star Ellar Coltrane — who becomes a young man before the audience’s very eyes — and a fine ensemble cast, subtle but transporting pop culture references and a killer soundtrack, the movie inspires intensely personal reflections on memory, wonder, mortality, family and the passing of time. “Who is Morten Tyldum?” you might ask. He’s the Norwegian director of “Foxcatcher,” whose thriller “Headhunters” was previously nominated by the Academy for best foreign language film. And he’s got a snowball’s chance in hell of winning this year’s best director Oscar. Bennett Miller is a more established Hollywood presence, earning a director nod for “Capote” in 2006. Sadly for him, the race comes down to three veteran filmmakers finally getting their due from the Academy: Anderson, Linklater and Inarritu. Inarritu recently took home the Directors Guild Award, a big predictor of who will win on Oscar night, while Linklater scooped up the Golden Globe and the BAFTA. The contest is so close between these two, I’m betting the Academy will make the rare but not unprecedented decision to split the best picture and director prizes. Inarritu will win the gold for the edgy and awe-inspiring technical achievements showcased in “Birdman,” while Linklater’s “Boyhood” takes the best picture trophy. I’m usually not a fan of such splits — logically, the year’s best director is the director who made the best picture — but I’m so torn between “Birdman” and “Boyhood,” I’d be happy to see them both triumph. This entry was posted in Uncategorized and tagged Academy Awards, American Sniper, best director, best picture, Birdman, Boyhood, Gabriel Gonzalez Inarritu, Golden Globes, Guardians of the Galaxy, Oscars, Richard Linklater, selma, The Grand Budapest Hotel, Wes Anderson on February 18, 2015 by Lavender Vroman.